The Agency for Clinical Innovation, Clinical Excellence Commission, Health Education and Training Institute, Bureau of Health Information, Cancer Institute NSW, eHealth NSW, the Ministry of Health’s Mental Health Branch and Health and Social Policy Branch are pleased to include the following Plenary Speakers at the 2018 Patient Experience Symposium. Luke Escombe is an award-winning songwriter, musician and comedian who has turned his 25 years of living with Crohn’s disease into inspiration for his art. 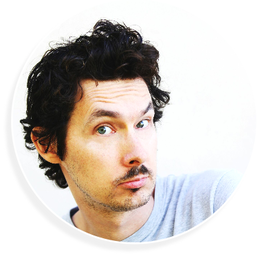 Luke’s breakthrough as a writer/performer came in 2011 with his one-man show “Chronic”, which combined multiple music styles with candid stand-up comedy about his many hospital stays. It was Luke’s ticket to festivals all over Australia, and led to him becoming an ambassador for Crohn’s and Colitis Australia. The follow-up to “Chronic” was a show called “The Vegetable Plot”, which premiered at the 2014 Sydney Fringe. After years of speaking about illness, The Vegetable Plot was Luke's way of making a fresh start - a roots music show for kids, families, and foodies with an emphasis on having fun and being healthy. It won the award for the Best Kid’s show at the festival and has since played at major events all around the country, including at the Sydney Opera House and Splendour in the Grass. Luke has spoken for three years in a row at Parliament House in Canberra, as well as at the New Zealand National Museum in Wellington, the 2012 and 2014 National Medicines Symposiums, the 2013 Pharmacy Australia Congress, and at conferences, workshops, support groups, Medicare Locals and training seminars across the country. 2017 saw him crossing the Pacific for the first time, speaking at events in Chicago and Miami and receiving standing ovations at both. His work was recognised at the end of the year by WEGO Health, who named him as the winner of their 2017 “Hilarious Patient Leader” award. He was once described by John Shand in the Sydney Morning Herald as a “rock-soul singer, raconteur, blistering blues guitarist, comedian and songwriter...and very good at them all”, and is most often described by himself as the Mick Jagger of inflammatory bowel disease. Luke Escombe lives on Sydney’s northern beaches with his wife and son. Allen John Madden was born 16th June 1949 at Redfern NSW. He attended Redfern Public School, which is now reformed into National CIE, Narwee Boys High school & Newtown Technology High School. 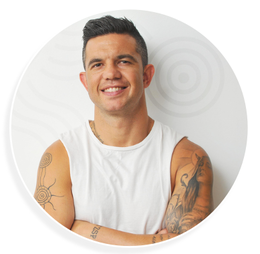 Allen stared working at age 14 at Ingham Chicken, Shelly soft drinks, Sydney of Sydney council, Aboriginal Medical Service, Aboriginal Children’s Service, Aboriginal Legal Service, NCAP, New Careers for Aboriginal People Employment. Allen is the former MLALC CEO and MLALC Culture & Heritage Officer. He is the p revious Board member of Sydney Foreshore Authority, SBS, Central Coast Aboriginal Heritage and various others. At present Allen is a Board member of the MLALC. 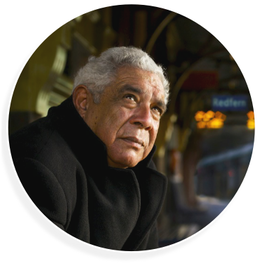 He has been involved in television with Redfern Now, Walk on Country, Greatest Cities of the World (BBC), First Australian, Pemulwuy, First Contact, and Foot Prints. Allen Madden is now married with 10 children and is a life member of Redfern All Blacks sporting club, and Business Owner of Aboriginal Land Consultancy. Brad started his professional life as a graduate science teacher at North Sydney Boys’ High School. He later studied law at the University of NSW and was admitted as a solicitor in 1977. He also holds a Master of Laws from the University of Sydney. Graduating from the Faculty of Medicine, University of Sydney with 1st Class Honours and the University Medal, Brian was awarded the FRACS IN 1982. He completed his training at the University of Hong Kong, the Mayo Clinic, Rochester Minnesota and then at the Memorial Sloan Kettering Cancer Centre in New York where he subsequently joined the Faculty. He returned to Australia as a Consultant Cardiothoracic Surgeon at Royal Prince Alfred Hospital and Concord Repatriation General Hospital and subsequently at Strathfield Private Hospital. Brian's particular clinical interest has been, and is, in thoracic malignancy about which he has lectured and published extensively. He was appointed a Clinical Assoc Professor of Surgery at the University of Sydney based on this work, research and teaching. He remains in active clinical practice. Brian also has a demonstrated passion for the broader aspects of healthcare delivery and most particularly the effective, efficient and safe provision of clinical services both inside and outside the hospital setting. He pioneered Clinical Management positions in NSW Health initially as the Director of Surgical Services at RPAH and subsequently the Clinical Director of Cardiovascular Services for Central Sydney Area Health Service and then the Area Director of Surgery for Sydney Southwest Area Health Service. Brian has held a range of positions and consultancies with NSW Health, the Commonweath Government and other State Governments as well as the Royal Australasian College of Surgeons of which he was the NSW State Chairman. He was President of the NSW Medical Board for 6 years. 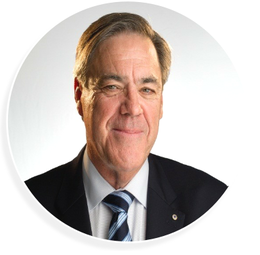 Brian is currently the Chair of the Board of the Clinical Excellence Commission and the Agency for Clinical Innovation.He also serves on the Judicial Commission of NSW and is a board member of the Chris O’Brien Lifehouse Cancer Centre. 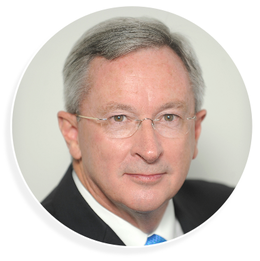 For his services in both clinical and management fields, Brian was appointed a Member of the Order of Australia. As Minister for Mental Health, Tanya is responsible for overseeing the ongoing implementationof a comprehensive person-centred reform of the Mental Health care system in NSW. Jessica Rowe’s passion for news and current affairs has seen her become one of Australia’s best-known TV presenters and admired by viewers for her warm, down-to-earth manner and infectious laugh. Prior to returning to Network Ten, Jessica was news anchor on Weekend Sunrise on the Seven Network and was co-host of The Today Show on the Nine Network. She has also competed on Dancing with the Stars in 2007. Jessica began her journalism career in 1993 after graduating from Charles Sturt University with a degree in Communications. She has also studied at Sydney University, achieving a Masters of International Studies. Jessica is also a published author. In August 2015 Jessica released her insightful and inspiring memoir Is This My Beautiful Life? (Allen & Unwin), which has proven to be a bestseller and is now in reprint. Jessica co-authored her first book with her mother, Penelope Rowe, titled The Best Of Times, The Worst Of Times, an account of their family’s experience living with Penelope’s bipolar disorder. Her second book, the bestselling Love, Wisdom, Motherhood, reveals the struggles, joys and heartache of motherhood through the account of eleven women. In December 2016 Jessica signed with Fairfax Media as a new weekly columnist for Sunday Life Magazine. Every week Jessica responds to readers' dilemmas in her column Dear Jess. Jessica also has her own website, craphousewife.com, where she shares all her amusing tales and misadventures of being a working mum and a terrible cook. Launched in June 2017, craphousewife.com is an extension of Jessica's hilarious posts on her social channels where she has gained a strong and loyal social following with her using #craphousewife. Aside from news and current affairs, Jessica has made an indelible mark on Australian society with her advocacy work for mental health. She is a patron for the Mental Health Council of Australia, Mum4Mum, an ambassador for beyondblue, an ambassador for Camp Kookaburra and Welcome To Australia (an organisation assisting refugee families in Australia), a board member of the George Gregan Foundation, a member of the IVF Australia Ethics Committee and is involved with the Exodus Foundation and Community Brave (a campaign supporting bullied youths). All of Jessica’s philanthropic endeavours saw her receive an Order of Australia for her work in mental health advocacy at the Australia Day honours in 2015. In her personal life, Jessica is married to Nine News reader and 60 Minutes reporter Peter Overton. Together, they have two beautiful young daughters, Allegra and Giselle. Doris was born and raised in Geelong, Victoria. She was educated at Monash University and began her career as a secondary school teacher. In 1980, Doris' two month old daughter Claire died as a result of Sudden Infant Death Syndrome (SIDS) - this became a life and career changing event. Together with the local Coroner's department, Doris established a support system for bereaved parents and became a Home Visitor to all SIDS families in the Geelong region. This lead to a long involvement with the Melbourne based Sudden Infant Death Research Foundation where Doris was amongst the original volunteers who helped to launch Red Nose Day in Australia. During this time, she was awarded the Mrs Victoria Community Achievement Award (1987) for her services to bereaved families and SIDS awareness. Doris wrote her first book on the subject of teenagers and grief in 1990 and this began a public speaking career around Australia and New Zealand. She now has seven books published and her best-selling book on empathy, Stuck For Words – what to say to someone who is grieving, is Doris’ most requested topic for professional training and development. 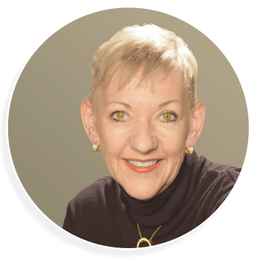 In 1994, Doris was employed by an American-based funeral company Service Corporation International (SCI) as National Training Manager for Australia and was also sent to the US and the UK to train funeral directors. SCI was the forerunner of InvoCare – Australasia’s largest operator of funeral companies, cemeteries and crematoria. Still currently employed at InvoCare, Doris now holds the position of General Manager for Operational Projects. One such project saw her recently develop Australia’s first dedicated grief information website mygriefassist.com.au which focusses on a contemporary view of grief with a variety of free resources. 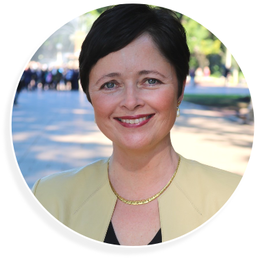 Today, she is widely known and respected throughout the funeral profession as a trainer and educator and is a Past President of the Australian Funeral Directors Association - Queensland Division. She spends much of her time travelling Australia presenting grief seminars for health professionals, corporate organisations and the wider community. She communicates a compelling message with a blend of humour, honesty, empathy and passion for her field. 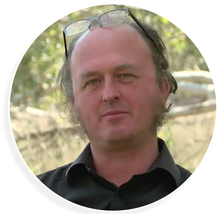 Vic McEwan is the Artistic Director of The Cad Factory, an innovative arts organisation based in regional NSW. He explores experimental and contemporary arts practice in partnership with diverse sectors. Vic was the 2015 Artist in Residence at the National Museum of Australia and the recipient of the Inaugural Arts NSW Regional Fellowship 2014/16. Vic’s practice involves working with sound, video, installation and performance, with a particular interest in site-specific work. He is interested in creating new dynamics by working with diverse partners and exploring difficult themes within the lived experience of communities and localities. Vic aims to use his work to contribute to and enrich broader conversations about the role that the arts sector can play within our communities. He sits on the NSW/ACT Arts andHealth State Leadership Group and is a board member of Music NSW. Vic has recently completed three years of artistic research exploring the negative effects of noise within hospital spaces. He has shared the outcomes of this work internationally in the UK, Lithuania and Australia. Although forging a successful professional sporting career, Joe battled the majority of his life with suicidal ideation and Bi Polar Disorder. After a suicide attempt in 2012, Joe felt his purpose was to help people who struggle with mental illness. Joe is also an author having contributed to the book "Transformation; Turning Tragedy Into Triumph" & his very own autobiography titled "Defying The Enemy Within" which will be released in February 2018.